When the San Francisco Conservatory of Music was founded in 1917, the pop-up toaster was just a year old. Stainless steel celebrated its third year of existence, and the crossword puzzle was on its way to a decade. The founders may have started out with three pianos and two blackboards, but the school and its technology have surpassed the founders' wildest imaginations. And that includes the new Technology and Applied Composition (TAC) program. 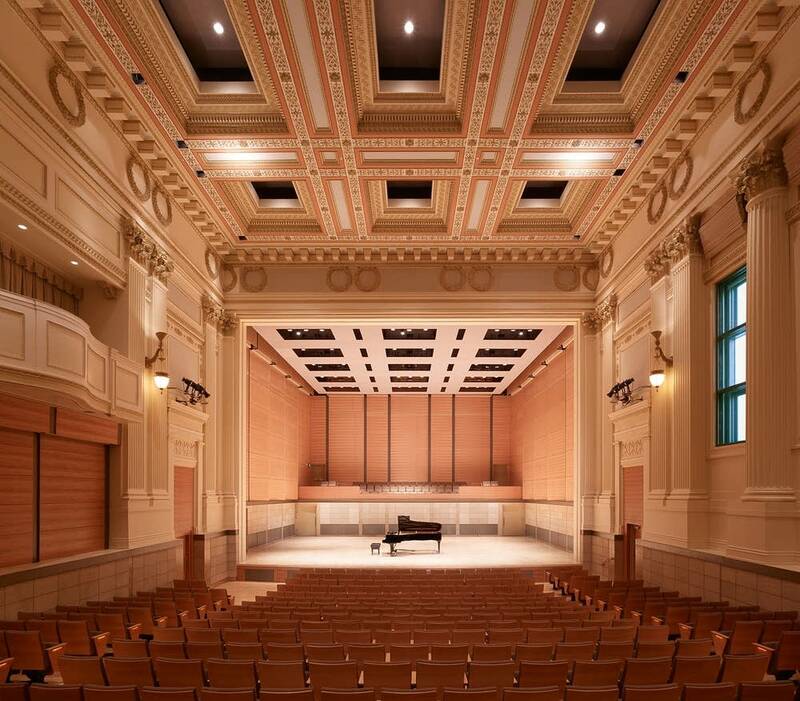 On a recent trip to GDC (Game Developers Conference) in San Francisco, Emily stopped by the San Francisco Conservatory of Music to learn more about the new program, which includes composing for film, games and media. Emily and other conference delegates took a tour of the new studios and talked about the future of music  its production, distribution and use in the digital age. Dren also serves as a faculty member and mentor, teaching from his own experience. Other notable visiting faculty include Jeff Beal, Karen Collins, Jessica Curry, Leslie Ann Jones, Laura Karpman and Austin Wintory. Though SFCM has experienced some pushback for its new program and its decidedly non-traditional applications, the potential for new game composers is exciting. Enjoy the episode, recorded on site, and learn how a conservatory can be anything but conservative. All music composed by Dren McDonald for the game Gathering Sky, except the clip from A Streetcar Named Desire and the clip from Lego Star Wars.